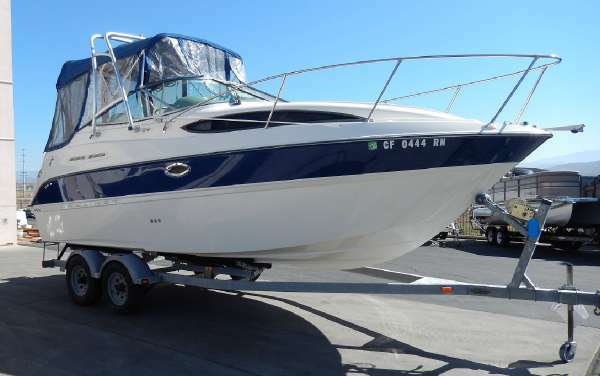 2006 Bayliner 245 SB A great opportunity to experience life on the water affordably! 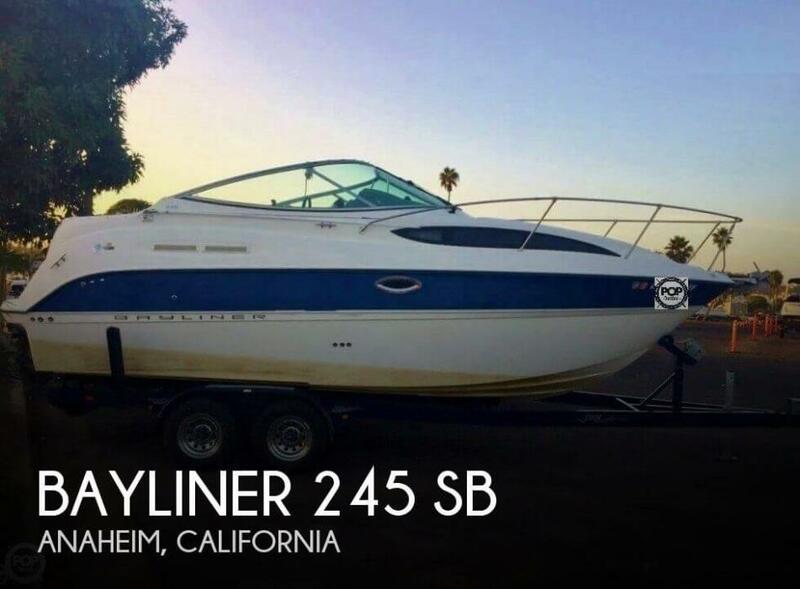 This Bayliner 245 has a 5.0L Mercruiser and includes Air/Heat, Enclosed head with shower, Microwave, Stove, TV/DVD, Refrigerator, Stove, Trim tabs, New cockpit cover, Bimini top w/isinglass, Anchor w/rope, Fenders, Dock lines, Shore power cord, Life jackets, etc.... Includes Trailer! 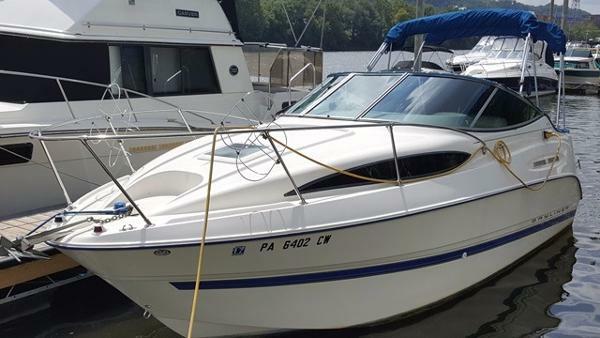 This boat has been well cared for and has always been stored inside, serviced and waxed every year and should offer her new owners many years of family fun!! 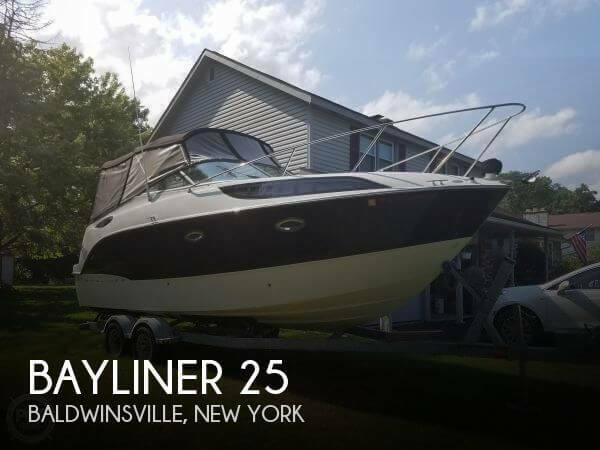 2011 Bayliner 245 SB Cruiser *** W/5,0 MPI BIII/BIMINI-ENC-CAMPER/AC/GPS/WE PKG/ *** A long standing favorite in the Bayliner line of boats is the 245 SB. 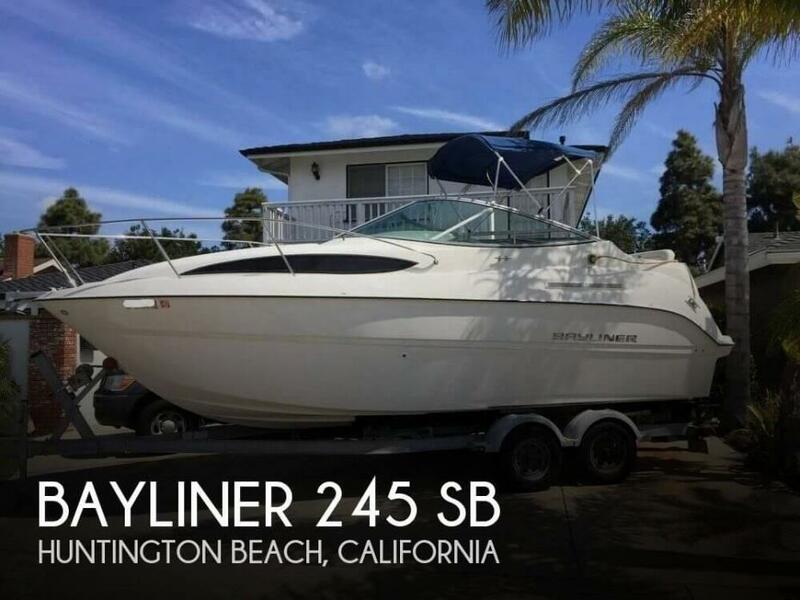 Bayliner has packed a ton of boat into this 24' trailerable cruiser. 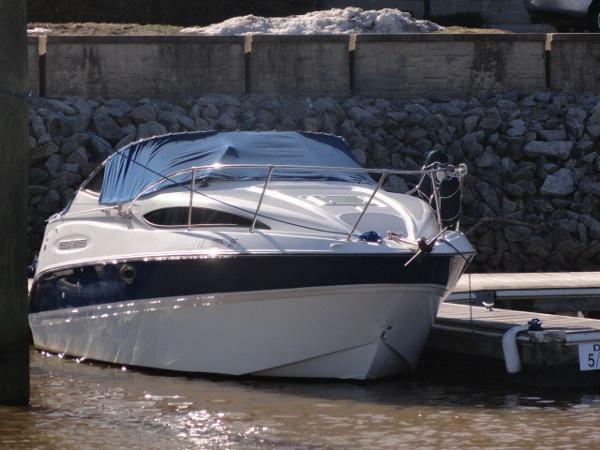 Written up may times over the years in the boating magazines as " having the best utilization of interior space of any boats in it's class" this boat is set up and laid out for comfortable cruising , overnighting or weekending and comes with all the shore power and dockside amenities. It's your home on the water! 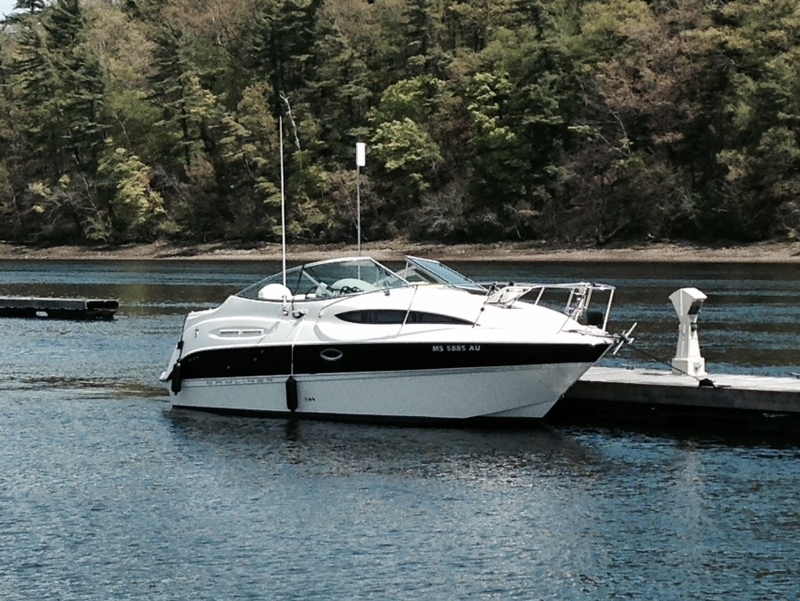 This boat is powered by the Mercruiser 5.0 MPI with the Bravo III outdrive. It is in excellent condition inside and out! Only 91 hours on the engine! At the helm, the dash panel has a complete set of easy to read gauges to monitor all your engine functions and features an in dash digital depth finder, VHF radio and an AM/FM CD Stereo and a factory installed GPS. The seating is generous with a portside reversible lounger and a hide away stern seat. Below deck there is comfortable sleeping for 4 people, two forward and two in the mid cabin, maybe even sleep an extra one or two topside as there is a full canvas package which includes a camperback canvas.In the cabin you have a sink, stove, fridge, hot and cold water and a microwave oven. It also features Air Conditoning. The head is fully enclosed and features a marine toilet and a hot and cold shower! The integrated swim platform comes with a boarding ladder . 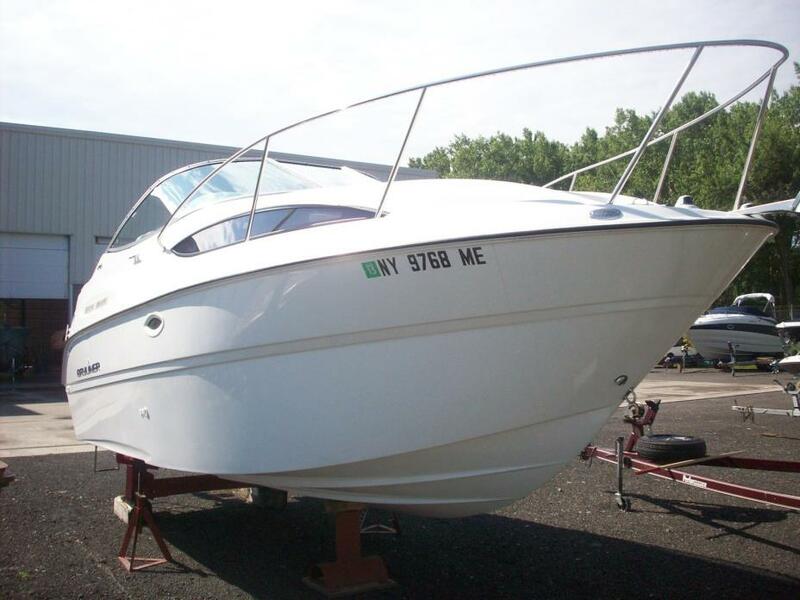 All in all this boat is perfect for whatever your boating needs are! It is on display now at our location. 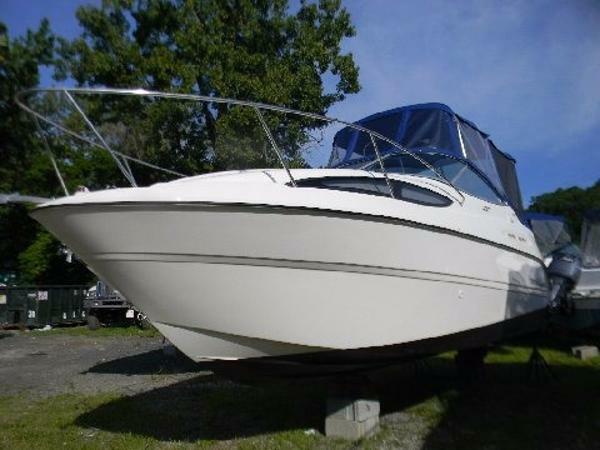 Call or stop by today to find out more about this boat. 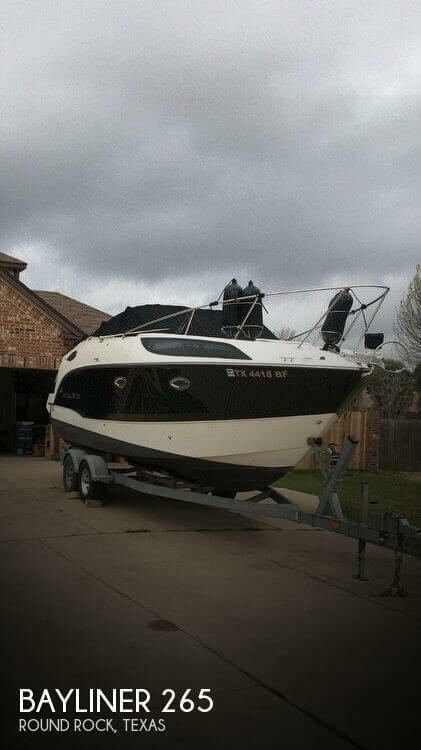 It is in like new condition and ready for immediate delivery! 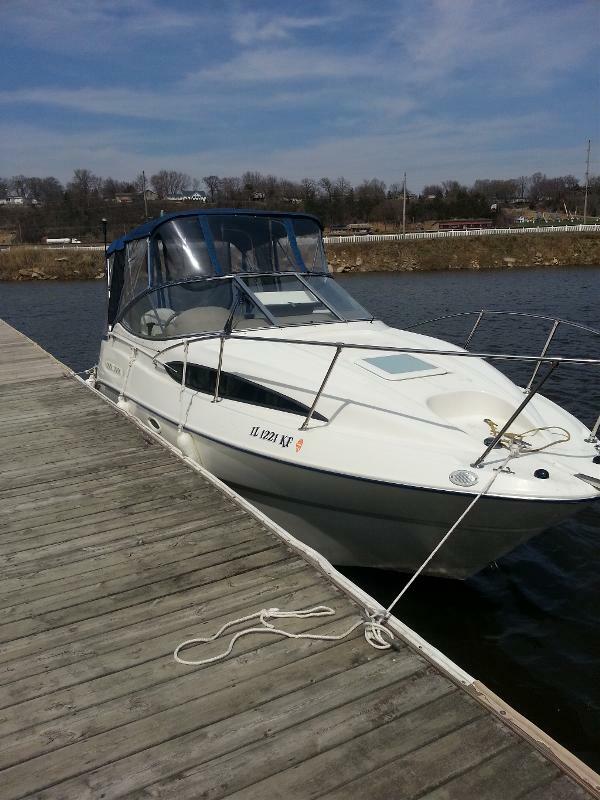 2005 Bayliner 245 SB Cruiser 2005 Bayliner SB CruiserThis boat is clean and well equipped. 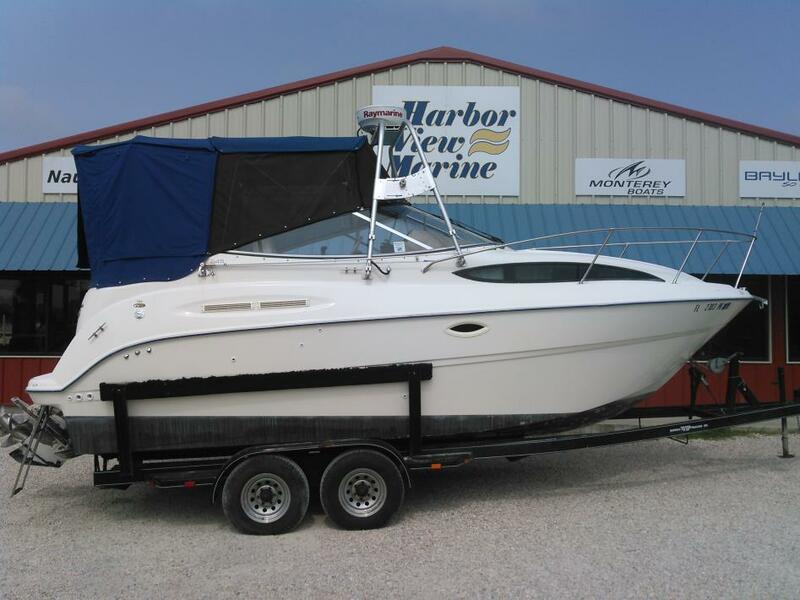 Options include Full camper top, cockpit cover, dual bimini's, cockpit carpet, windlass, GPS, VHF, extended swim platform and Marine AC.Powered by a Merc 5.7 Brovo IIIBelow deck this boat is well appointed with a full galley, full head, sleeping for up to 4 adults.This boat had close to 10k in service last year: New bellows, new gimbal, new risers and manifolds, new thermostat, new water pump, new head gasket and more.2015 Venture Trailer inlcuded. 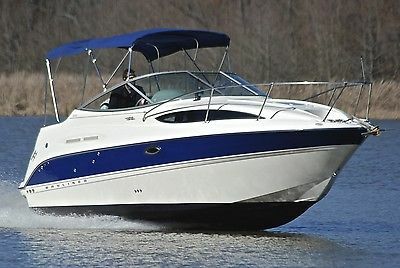 This boat is turn key!